1. A narrator who actually sounds interesting. Marlin's reading sounded incredibly dry, it was hard to get used to. 2. The book itself wasn't focused--it went on half a million tangents that contributed little to nothing to the story of the William Morris Agency. 3. Despite being published in 2013, the history of William Morris ends back in the 90s--before the IMG and Endeavor mergers. So any hope that we'd get a real look into how William Morris started and how it became what it is today (or at least, effective 2013) is disappointingly absent. 4. The last 1/4 of the book is basically a slow trudging experience describing how old and dying and ineffective everyone at William Morris became...There is a giant disconnect between what looks like the death of the William Morris agency at the end of this book and the reality of where they are today (what with their IMG/Endeavor mergers/acquisitions) that begs the question, "what happened?!" 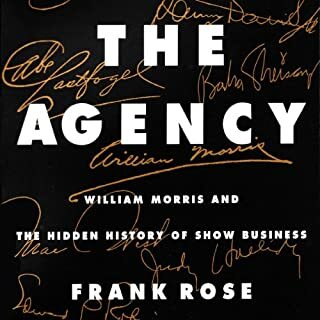 Has The Agency: William Morris and the Hidden History of Show Business turned you off from other books in this genre? Dry reading; he didn't sound interesting or excited about anything. He also didn't know how to pronounce a few words here, which was mildly annoying. But the dryness is the worst part. What character would you cut from The Agency: William Morris and the Hidden History of Show Business? All the random people who have nothing to do with the William Morris agency. There are too many tangents in this book. I listened to this hoping to understand WME's roots and understanding their position in the market as of the time this book was written (2013), but it was majorly disappointing. Not only do the historical accounts end in the 90s, but most of the details in the book are irrelevant or otherwise add little to nothing to the conversation. I felt like they went into more detail on some of the stars themselves than the actual agency. For example, there were entire sections for Elvis, Marilyn Monroe, the CAA offshoot from William Morris, but even less on what was keeping William Morris going towards the end of the book. 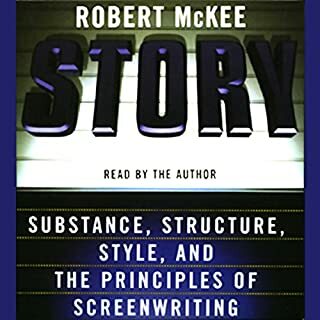 Robert McKee's screenwriting workshops have earned him an international reputation for inspiring novices, refining works in progress, and putting major screenwriting careers back on track. Quincy Jones, Diane Keaton, Gloria Steinem, Julia Roberts, John Cleese, and David Bowie are just a few of his celebrity alumni. Writers, producers, development executives, and agents all flock to his lecture series, praising it as a mesmerizing and intense learning experience. The author comes across as pretentious sometimes but I think he's spot on with his assessments. I'd probably listen a second time over as I get further in my drafts for some inspiration on refinements.